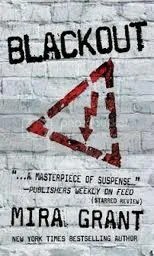 The conclusion to the action-packed and riveting Newflesh trilogy, Blackout, does what Feed did in exploding out of the gate with great writing, strong characters, and a story you couldn’t stop reading; as well as what Deadline continued with in ratcheting up the tension and delving out shocking plot twists to keep readers demanding more. The most important thing about this book is that it remains true to its characters in every way so that if the reader has been paying attention from the first line of the first book, they shouldn’t be too surprised, and yet it’s still satisfying and rewarding to see the events you hoped might happen on the page before you, as well as some great shockers you might not have seen coming. Spoiler warning: if you haven’t read Feed or Deadline and you don’t want to get spoiled, you should stop reading now. We last left George apparently somehow alive and well, living the life of a clone in a CDC lab. She slowly puts things together as time passes, but for every answer there are fifty more questions. Also is she really Georgia Mason? She doesn’t have the reservoir condition anymore; she’s a lot thinner that George ever was; and her hair is annoyingly long and bleaching with every shower. Then she finds out she might have an ally or two on the inside, but she isn’t sure if she can trust them. Meanwhile, as Shaun continues to talk to Georgia in his head and act all kinds of crazy, he keeps the gang of After the End Times on the move. After spending some time with Dr. Abbey in her secret lab, as she takes copious daily amounts of his virus-immune blood, he thinks about where the trail is leading next, where he can get more answers, and find out just what this whole conspiracy is all about. It will involve possibly going on a rescue mission to Florida, which has been designated a zombie-ridden loss for the country; meeting with his parents who he hates, to ask for help; and tracking down the best I.D. counterfeiter in the business to start their new lives. Blackout is the perfect, satiating finish to the trilogy, making the three-book series feel like one long, epic story. No reader will be disappointed, with a worthwhile ending that will leave him or her sad that the wonderful journey is now over . . . but just like when the end of Harry Potter was reached, or the final page of Stephen King’s Dark Tower series, how many of us turned back to the first book and started reading that first page once again. Having reread the first two books, this trilogy will be one I will continue to reread constantly throughout my lifetime. Originally written on May 22, 2012 ©Alex C. Telander. To purchase a copy of Blackout from Amazon, and help support BookBanter, click HERE. 02/10 On the Bookshelf . . .
Was delighted today to discover an advanced reader copy of Feed by Mira Grant in my mailbox. 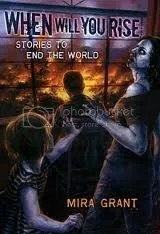 Feed isn’t due out until April 27th, and seems to be a great first book in a trilogy about zombies. What’s not to like? And some of you may also recognize the little symbol on the cover as being that of an RSS Feed, which just makes it all the more interesting, in my opinion. And for those of you who don’t know, Mira Grant is a pseudonym for Seanan McGuire, who is the author of the October Daye series. 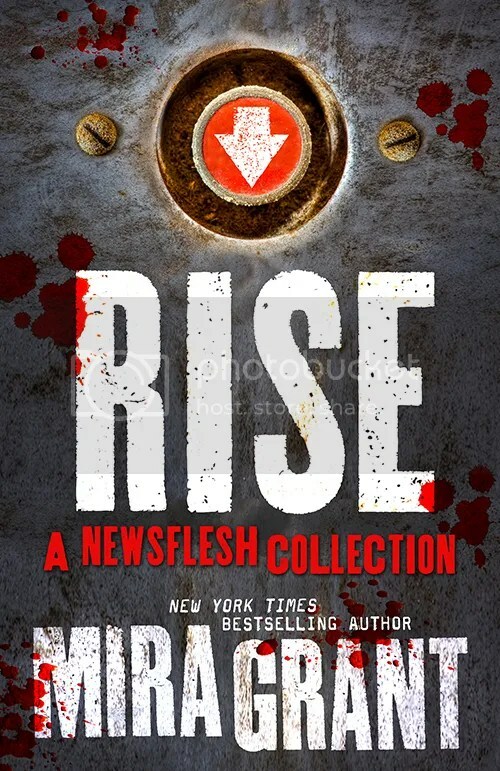 McGuire felt the need to use a pseudonym for the Newsflesh Trilogy because it is so different from her voice and writing style with October Daye. 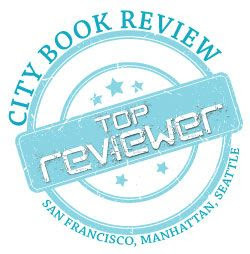 And for more info, be sure to check the fun interview I had with Seanan.